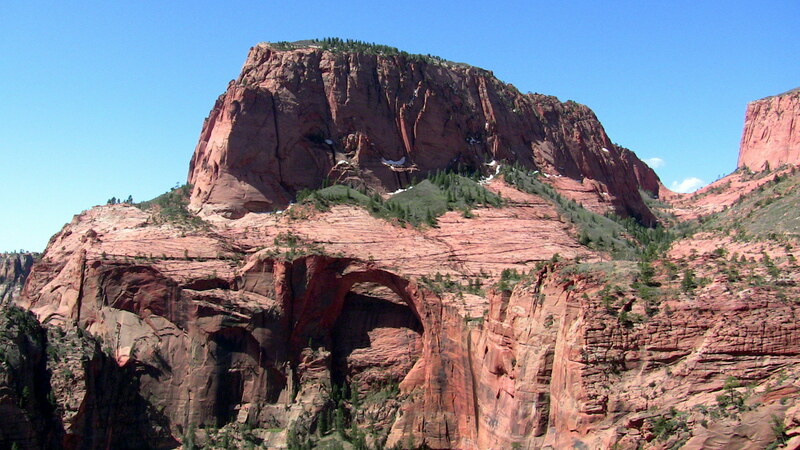 A rare view of Kolob Arch. Sunday Ryan and I did a ~25 mile lollipop loop I’ve been obsessing over for a year starting at Lee’s Pass, cruising down to LaVerkin Creek, up Willis Creek (which was INCREDIBLE), climbing to the rarely visited Chasm Lake, and thrashing over to the head of Beartrap Canyon. We made a quick descent of this recently (2011) flash-flood ravaged canyon and then ran back to the car. Honestly this route defined a near-perfect Zion adventure in my opinion. A few pics here from the weekend here. Have you ever done Chasm Canyon from the top all the way to the bottom? I did the first descent of that about 12 years ago. It’s a brilliant V-slot with a swim across the lake and then out.